One of a kind, rescued from Fort Missoula in Missoula, MT – Siberian Elm Slab Custom Coffee Table with Walnut Base 24W x 62L x 18H. Place your order today, only one available. One of a kind recycled Russian Olive Slab Custom Coffee Table with Ebony Butterflies and a Cherry Base 24W x 70L x 18H. Place your order today, only one available. One of a kind, Circular Maple Slab Custom Coffee Table with Maple Base 17W x 35L x 18H. Place your order today, only one available. 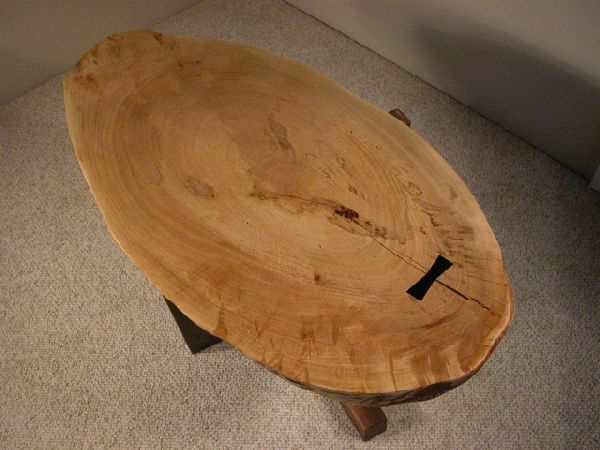 One of a kind, Circular Maple Slab Custom Coffee Table with Cherry Base 19W x 52L x 18H. Place your order today, only one available. One of a kind, walnut coffee table with Cherry Base 24W x 48L x 18H. Place your order today, only one available. 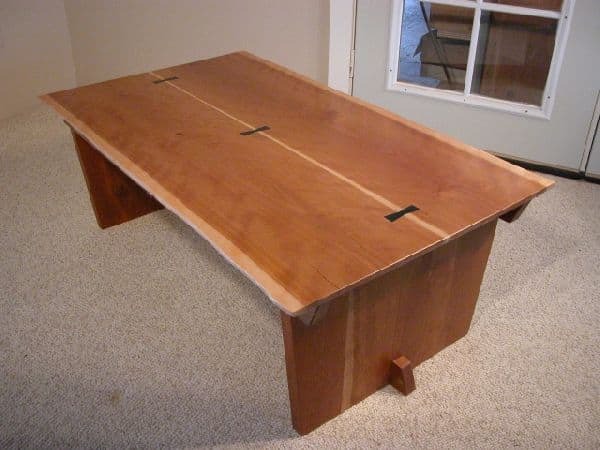 One of a kind, rusitc knotty walnut custom coffee table with Cherry Base 24W x 48L x 18H. Place your order today, only one available. 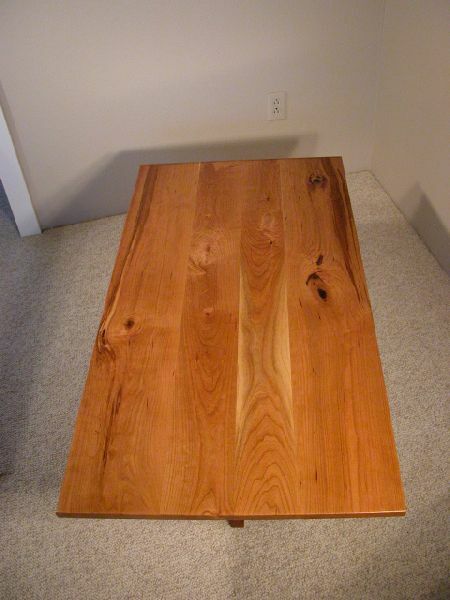 One of a kind, rustic Knotty Cherry Custom Coffee Table with Cherry Base 24W x 48L x 18H. Place your order today, only one available. Unique unusual custom coffee tables made to order in Montana in rustic styles.